Sonic Station 22 is bursting with inputs! 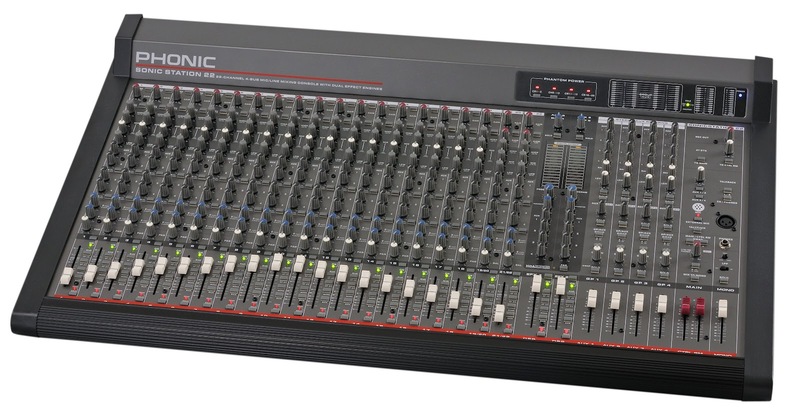 Every channel has a Mic preamp with phantom power, balanced line inputs, a 3-band EQ with swept-mid (not on stereo channels), and six AUX sends (two with pre/post Buttons). 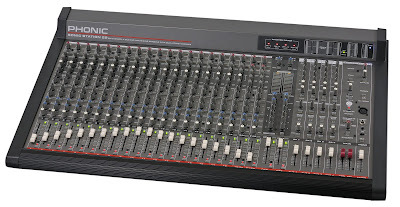 Mono channels have insert points for connection to external processors and direct outputs with pre-fader switches for multi-track recording. But that's not all. The dual built-in 32/40-bit digital effect processors have 16 awesome programs and one main parameter control, and effects 2 includes a foot switch control and tap delay. A built-in talkback Mic makes communicating with the talent easy, and a 12V lamp socket provides all the light you need when working in dark environments. And if you get any sub "Sonic" noise in your mics just hit the low cut filter to get rid of breath pops, stage rumble and wind noise. Also featured are some handy "swap" buttons, allowing main and control room signals, as well as Group and AUX signals, to be swapped, making this an ideal monitoring console. Top it off with a variable low pass filter for use with subwoofers, four true subgroups and Record Out with trim control, and you've got a perfect mixer for live events or studio mixing.